Meet the owner of DR 4 PETS! Following graduation she interned at the renowned Animal Medical Center in New York City; but the sunny skies of Southern California enticed her to head to the west coast. After completing her internship she moved to Thousand Oaks, California and continued her career as a small animal practitioner. She opened an in-home veterinary service in 1989. 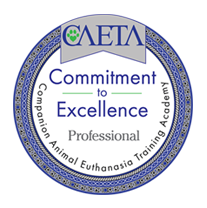 She is a member of The American Veterinary Medical Association (AVMA), The Association for Pet Loss and Bereavement (APLB), and The Companion Animal Euthanasia Training Academy (CAETA). Dr. Watson’s love for animals goes beyond veterinary medicine. She is a passionate animal artist and does commissioned portraits as a hobby. Visit the Gallery link to view some of her works. Also she invites you to join her celebration of our love for pets by sending in your favorite pet photo (with or without people and a small caption).